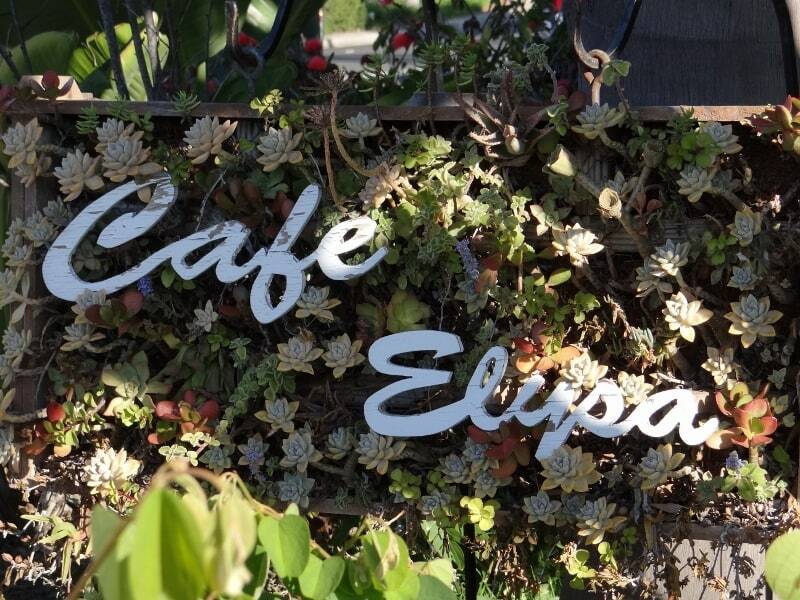 Cafe Elysa is my favorite breakfast place in Carlsbad. If you have been on the weekends you know that many others feel the same. Cafe Elysa is where we hang out on Saturday or Sunday morning for breakfast when we can (I LOVE the coconut custard filled French Toast) before taking our walk on the boardwalk. Good exercise, a beautiful walk, and a good way to burn off those calories! 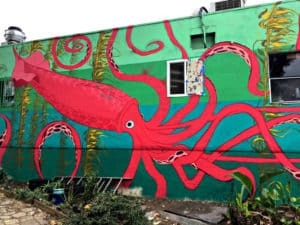 There is a new mural on the back wall where the parking is on Lincoln Street. I’m not sure HOW new it is, but it wasn’t there a few weeks ago. We stopped by for a quick sandwich the other day before I took my wife to the train to LA. I really love the colors of this mural, and it’s HUGE. Check it out in person when you get a chance.